It’s no mystery why. 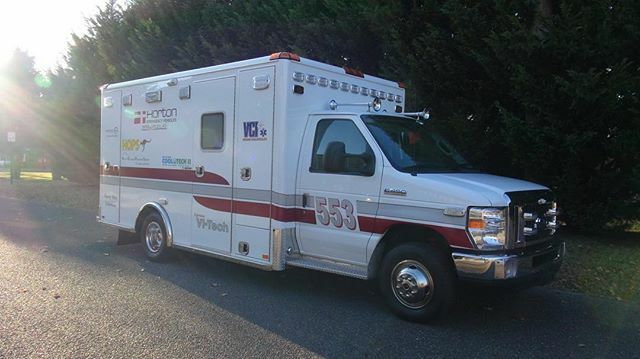 Horton brings decades of experience and innovation to all of their emergency vehicles, to provide EMS squads with features and quality workmanship that the others lack. For starters, there ’s the unmatched HOPS (Horton Occupant Protection System) package, which features a system of airbags, seatbelts and progressive foam protection that provide the best in occupant protection. There’s the Intelliplex i4G™ system – the best electrical offering on the market – which provides custom programming capabilities. There’s the VI-Tech mounting system, which provides a smoother and quieter ride. There’s the Cool-Tech II™ HVAC system, which can complete a full module cool down in less than nine minutes. And there’s the Horton 360 system, which ensures the driver can see – and the vehicle can be seen – in adverse conditions. 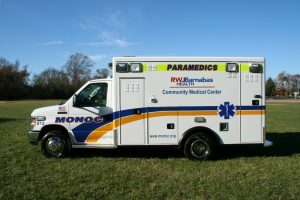 Combine these and hundreds of other features with the outstand- ing sales, service and graphics support provided by VCI Emergency Vehicle Specialists, and you’ll see why squads all over New Jersey are loyal VCI customers. We’d like you to be one too. Just give us a call! Learn more about Voorhees Township Fire! Watch our video on why your next vehicle should be a HORTON! After spending this week celebrating Emergency Medical Responders I was able to learn so much about EMS personnel. I tried to place my feet in the shoes of those who serve our communities in BIGGER ways than we could ever give credit too. I obviously could not fill these shoes in the slightest way but I was able to take away a better understanding of the type of person it takes to be an Emergency Medical Responder. In order to work in this line of duty, one must be emotionally, mentally, and physically strong. Those are just 3 things out of the endless list of attributes one must have in order to do this job. Can you imagine working a scene where an infant, child, or adult has died? Can you try to place yourself in those moments and be okay? Would you be able to work and do what is necessary to provide the utmost care to those who are injured and the families of those who have just lost a loved one? Can you then imagine only hours later going home to your family and keeping it together? The burden of the day’s work still fresh on your eyes as you glance upon your family around the dinner table. Can you imagine yourself working a crash scene with severe life-altering injuries? Can you imagine the life of the person in front of you literally depends on the choices you make and the lifesaving care you are providing in those very seconds? The burden and the weight of this job I can imagine would be heavy, like dragging heavy chains across the street as your running up to provide lifesaving aid. Again your shift ends, you head home, rest your head, and get up and do it all over again. Day in and day out and sometimes for days on end, from Christmas to Thanksgiving serving the community without an end. All of this to protect those we love, to serve our community, and save lives. EMS providers definitely have superhuman qualities, however, they are human’s with real emotions and struggles just like you, just like me. We must take into account that just because on the outside EMS personnel are able to keep it together to get their jobs done does not mean they do not carry it within them after working traumatic scenes. EMS providers definitely have superhuman qualities however, they are human’s with real emotions and struggles just like you, just like me. Please thank an Emergency Medical Responder for every sacrifice that is made to provide lifesaving care to our communities. EMS providers are crucial to each and every community to provide prehospital lifesaving medical care. EMS providers are who we personally count on when we are in faced with emergency situations in our lives. This job is not an easy one and it truly does take an extraordinary person to be an Emergency Medical provider. Thank you is only a mere sliver of how grateful we truly are for each and every one of you. We hope you all had a wonderful week celebrating EMS Week 2018. It was a pleasure to CELEBRATE YOU!!! For all our EMS Week related posts check us out on Facebook! Learn more about what we do at VCI! 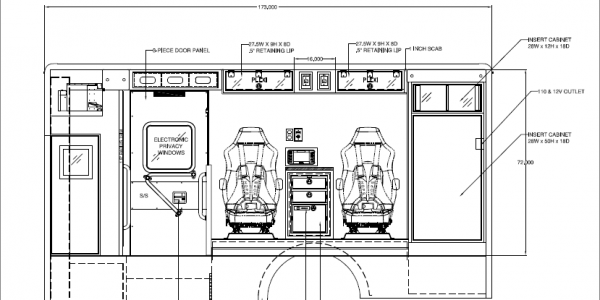 Why should you choose VCI for your next Critical Care Transport Unit? 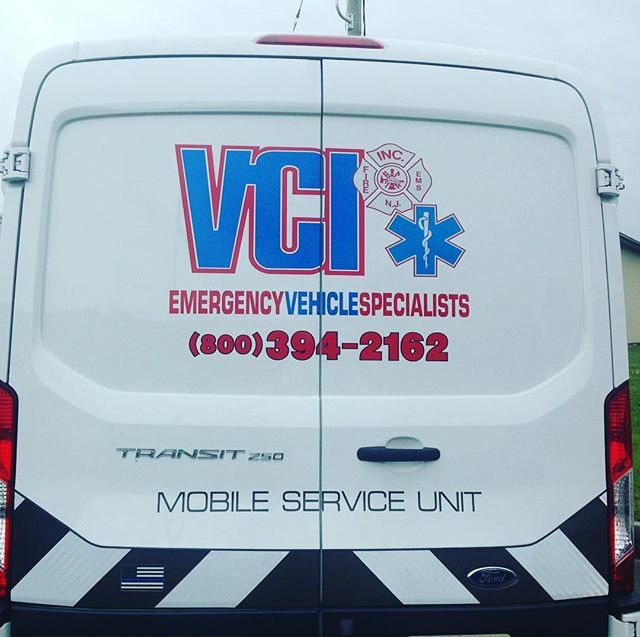 Specialized transport is not a task taken lightly at VCI, we understand how crucial it is to have a custom tailored ambulance to serve the needs that your Critical Care Unit provides to the community. We have partnered with Horton to provide CCT vehicles because we believe that safety, dependability, and superior construction are the key components to building a highly functional CCT unit. 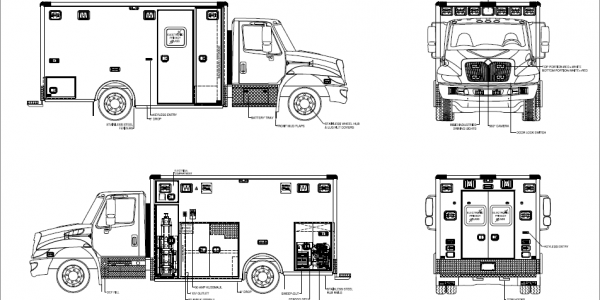 From Mobile ECMO and Balloon Pumps to Nitric, and Neonatal Isolettes, our units are custom engineered for your specific needs. 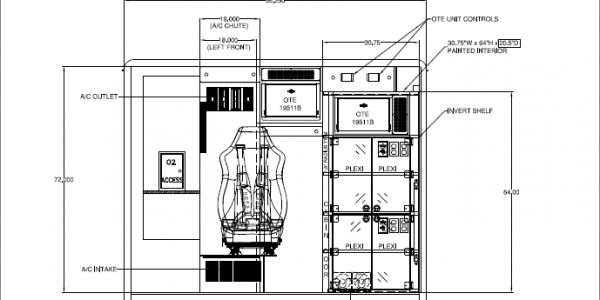 You and your team know what will work best to provide optimum critical care to your patients; that is exactly why Horton focuses on custom engineering with quality construction by skilled craftsmen’s to make sure your vehicle is dependable at all times. 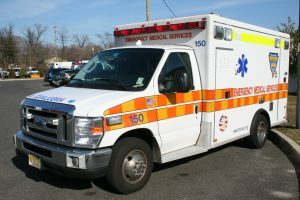 Horton offers 50 years of custom engineering experience, so when it comes to designing your Critical Care Transport or hospital ambulance Horton promises to deliver a CCT unit that is reliable to ensure your critical care unit can deliver the utmost critical care to the patients they are transporting. Contact one of our product specialists today for more information 1-800-394-2162! Monoc, The Monmouth Ocean Hospital Service Corporation is a non-profit hospital cooperative founded in 1978 to improve healthcare and reduce member costs. MONOC provides multiple services throughout the state of New Jersey to over 2.8 million residents living along New Jersey’s northern, central, and southern shore. The services they provide include MICU Paramedic Services, Helicopter interfacility and 911 services, Mobile Critical Care Services, and Basic Life Support interfacility and 911 services. All coordination of communications is done through a 24/7 state of the art 9-1-1 dispatch center. 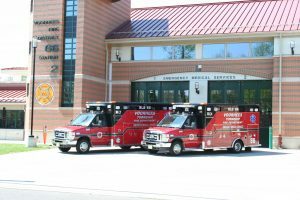 To further their outfit MONOC has the largest Emergency Medical Services education department in New Jersey that offers the opportunity for EMT’s, Paramedics, Nurses, Police Officers, Fire Fighter’s, and the general public to continue and broaden their education. MONOC is committed to serving the community with emergency services and continued education. Learn more about MONOC here! Throwing it back to the time our Remount Department built vehicles for the United States Secret Service! The USSS was founded in 1865 to protect securities; at that time about half of the United States currency was counterfeited. The personal protection mission of the USSS started in 1894 when they provided protection for President Grover Cleveland. Fast forward to today and the USSS has been tasked with the same principle missions with about 3,200 special agents, 1,300 uniformed officers, and 1,700 support personnel. We could not be more honored that the USSS entrusted us with their projects. We certainly hope to work with the USSS in the future! Click here for more information on our Remount Department! “Secret Service, United States.” Encyclopedia of Espionage, Intelligence, and Security. Encyclopedia.com. 28 Feb. 2018 <http://www.encyclopedia.com>. Need service on the go? Our mobile service unit will come to you! Contact us today 800.394.2162! 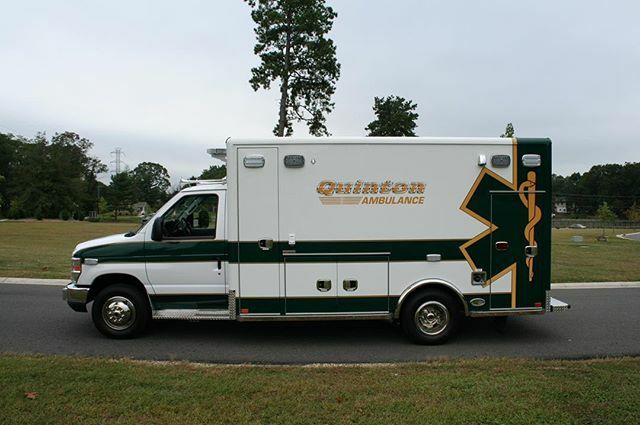 Congrats to Quinton Volunteer Ambulance Squad on their new 2017 E-450, Horton 553! 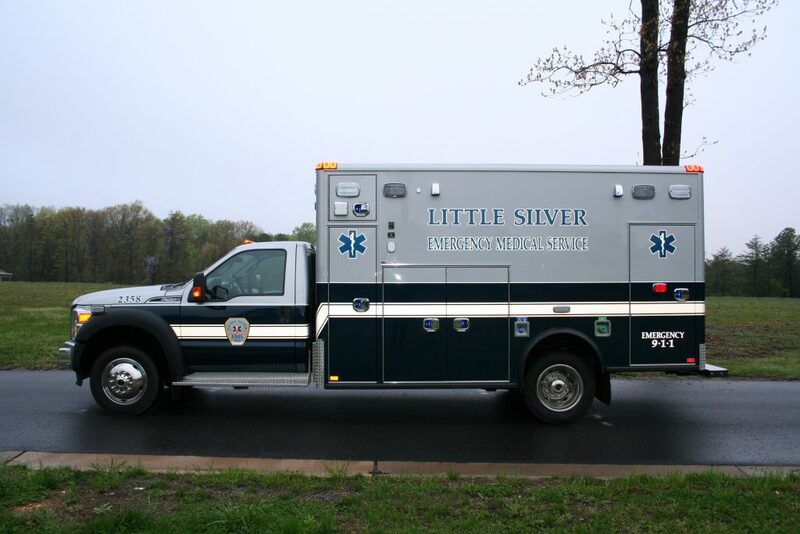 Little Silver took delivery of their new 2016 Horton 603 ambulance on a Ford F-550 4×4 chassis from Rich Bohny of VCI Emergency Vehicle Specialists.